by the Nazis. Madame Heilbronn Moulin is claiming a missing painting by Monet. More than this: She suspects the Wildenstein family, an international dynasty of French art dealers, of concealing information about the stolen work. What happened exactly? 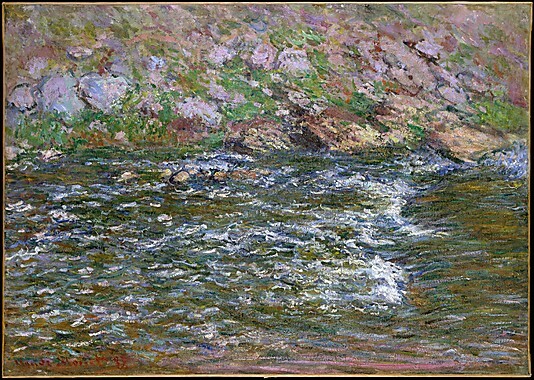 The missing painting called “Torrent de la Creuse” vanished in a Gestapo raid on a bank vault in the southwest of France. Back then, 10 paintings belonging to Madame Heilbronn Moulins father, Max Heilbronn, were taken by the Nazis. Her father who was Jewish and in the Resistance movement, was forced out of the Galeries Lafayette store and was immediately replaced by French collaborators. He then was imprisoned in Buchenwald, but luckily made it home after the war. The painting never turned up again. But the German Bundesarchiv in Koblenz is in possession of a black and white photograph. Strangely, it was listed several times by art dealer Daniel Wildenstein in his inventories of Monet’s work. 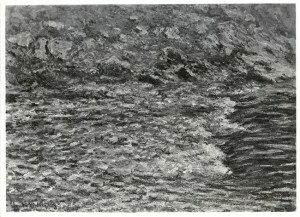 Wildenstein, who died in 2001, listed the painting as being in a private collection. In which one? Nobody knows. In other words: How did Daniel Wildenstein know that the missing painting was part of private collection? And if he knew, was he not hiding a crime? And is it not logical to go further and wonder whether the Jewish art dealer was hiding himself a painting acquired in strange circumstances? Consequently, might it be possible to discover the missing Monet in the vault of the Wildenstein Institute if you were to look more thoroughly? As Madame Heilbronn Moulin said in an interview with Doreen Carvajal of the New York Times: “It’s not a question of the price of the painting. It’s a question of a victory against the Germans…”. Then her voice trailed off. Seventy years is not enough time to forget the great injustice done to her family. But neither is it too late.